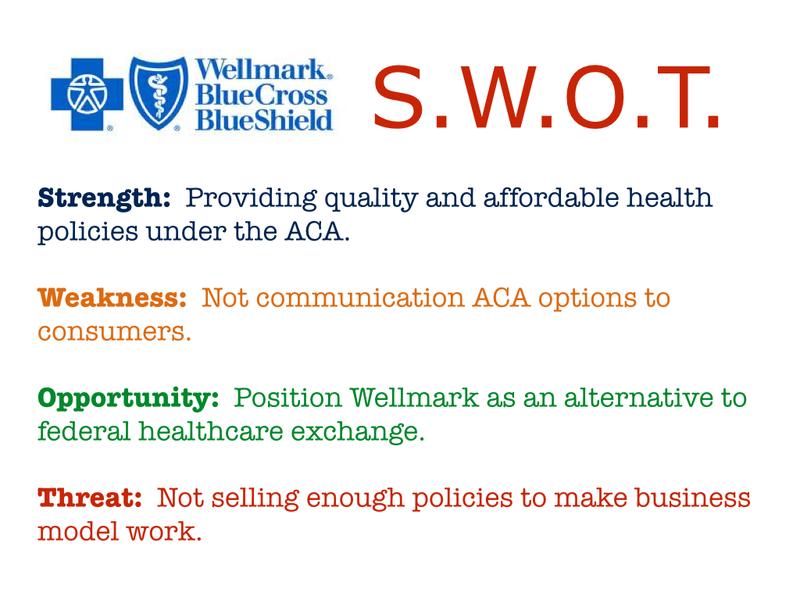 It shouldn’t have taken reams of quantitative research for Wellmark Blue Cross Blue Shield to realize there were problems with the new federal healthcare exchange. A simple log-in to healthcare.gov would have told them all they needed to know. Their customers, too. Countless news headlines and endless congressional hearings were just the 1000 watt amplifiers channeling the feedback as loud as a Jimmy Hendrix riff. Key to that opportunity is the fact that the ACA doesn’t require people buy insurance through an exchange—only that they have insurance. Armed with that critical understanding, Wellmark BCBS and its agency Campbell Mithun in Minneapolis were able to quickly create a strategic campaign specifically targeting frustrated health insurance shoppers. The key insight is that “things don’t always work like they’re supposed to.” The desired response is to shop directly for health insurance at Wellmark BCBS. Using humor to convey the message, Campbell Mithun has come up with a series of three episodic shorts and an integrated digital campaign to help steer customers away from the federal exchange. Ironically, BBDO Proximity is using virtually the same insight to support Minnesota’s healthcare exchange called MNsure. Minnesota is one of 13 states that have by-passed the federal exchange to create their own health insurance marketplace. In a previous post I explored how the MNsure campaign uses Minnesota folk lore icons Paul Bunyan & Babe the Blue Ox and positions them in several “things don’t always work as they’re supposed to” schemas to show that there are 10,000 reasons to buy health insurance. Like the Wellmark BCBS ads, the MNsure campaign also relies on humor. BBDO’s Creative Director Brian Kroening says the idea was to cut through the healthcare clutter with a positive message. “We wanted this to be a noticeable, simple message that there is hope for all Minnesotans. We wanted to break through and do it with a wink, but there is a very serious message and an action on the other end of it,” said Kroening. Both campaigns show that strategic thinking doesn’t happen by accident. Neither does strategic execution.